Small business owners looking to reduce their tax burden can take advantage of several money-saving deductions. 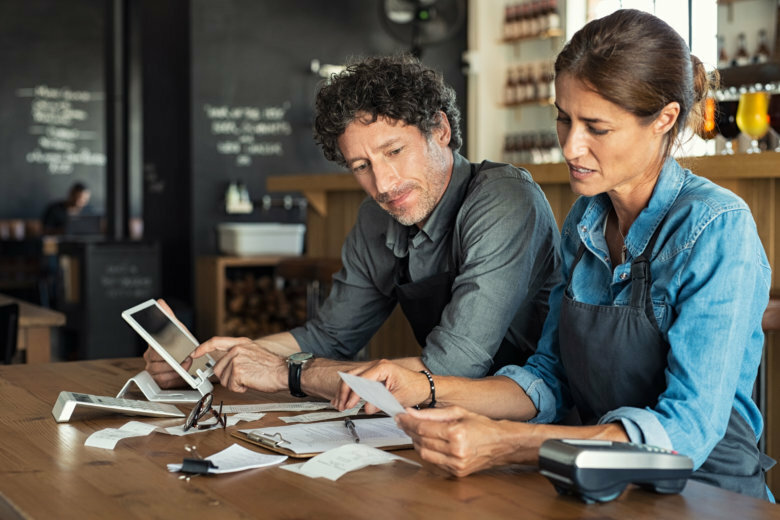 Regardless of whether you file your own taxes or entrust them to a professional, here are small business tax deductions that you won't want to miss. Small business owners looking to reduce their tax burden can take advantage of several money-saving deductions. These include existing deductions, such as those for vehicle expenses and home offices, as well as a brand new qualified business income deduction that will allow some small business owners to write off 20 percent of their income. Major tax preparation providers like TaxAct, TurboTax and H&R Block offer software designed for businesses, but using a professional tax preparer could avoid costly mistakes. “You don’t want to slip up and cost yourself a nice perk,” says Mark Steber, chief tax officer for tax preparation company Jackson Hewitt. Even business owners who feel savvy enough to do their own tax returns could benefit from having their work checked by a professional every two to three years, according to Steber. — The qualified business income deduction. — The Section 179 deduction. — The business vehicle deduction. — The home office deduction. The qualified business income deduction. The Tax Cuts and Jobs Act of 2017 made significant changes to the tax code. For small business owners, the most dramatic change is the creation of the qualified business income deduction, says Harvey I. Bezozi, a CPA and founder of Your Financial Wizard, a tax consulting firm in Boca Raton, Florida. Also known as the pass-through deduction, the qualified business income deduction allows certain small business owners to deduct 20 percent of their income. The deduction is only available to owners of pass-through entities such as sole proprietorships, partnerships, S corporations and limited liability corporations. Plus, there are limitations on income and a person’s occupation. To qualify, individuals must have taxable incomes below $157,000 or $315,000 for married couples filing jointly. What’s more, certain service occupations such as attorneys and physicians are barred from the deduction. While the IRS issued rules last month for the deduction’s implementation, questions still remain. “The new (qualified business income) deduction is complex and regulations to explain the application of this provision have only partially cleared up some of the confusion surrounding its usage,” Bezozi says. Owners wishing to claim this deduction may want to check with a tax professional to confirm they are eligible. The Section 179 deduction. Small business owners can now write off double the expenses of some purchases, thanks to the tax reform law. “A big change in 2018 is that they can now expense equipment up to $1 million,” says Elliott Servais, vice president at financial firm EP Wealth Advisors in Orange County, California. Previously, small business owners could only write off up to $500,000 in certain purchases. Expenses which can be immediately deducted are outlined in Section 179 of the tax code. These include vehicles, equipment, machinery and computers. Expenses not eligible for an immediate deduction are subject to depreciation. That means a business has to spread the value of the purchase over a period that could be decades, resulting in significantly smaller deduction amounts. Being able to deduct up to $1 million worth of expenses immediately could mean now is a good time for owners to invest in equipment upgrades or make other large purchases. “It’s a big incentive for small business owners to retool things,” Servais says. Office rentals. Businesses that rent their offices or other work spaces can deduct the cost as a business expense. However, there is an advanced tax strategy that could save even more money, says Joseph Conroy, author of “Decades & Decisions: Financial Planning At Any Age” and a certified financial planner at the advisory firm Synergy Financial Group in Towson, Maryland. It involves creating a separate limited liability corporation to purchase a building or workspace and then renting that space back to the business. This strategy may not be right for everyone and should only be attempted under the guidance of an experienced CPA or tax attorney. However, “If you’re currently renting a workspace, there is a tax benefit to buying,” Conroy says. As a type of pension, a defined benefit plan may be best for a company with very few or no employees. It allows a small business owner to save significantly more for retirement than what would be allowed in a 401(k) plan, and that can result in more sizable tax savings, too. The business vehicle deduction. Business owners can write off the cost of using their vehicle for work, and there are two ways to calculate the deduction. One is to add up the actual cost of maintenance, fuel and other expenses, while the other is total the miles driven for business and take a standard mileage deduction for that amount. “One of the things most business owners go back and forth on is deducting the car,” Conroy says. While the mileage method is easier, business owners might get a bigger deduction if they track their actual expenses. Either way, it’s important to keep detailed records. Those planning to claim a mileage deduction for business travel should keep a log of their trips, while those claiming actual expenses will need documentation. The home office deduction. Those who work out of their home can claim a home office deduction. “It’s gotten a bad reputation over the years,” Steber says, with some people concerned it raises their chances of an audit. However, it can be a valuable deduction that shouldn’t be overlooked by those who can claim it. Eligible office spaces are those that are used exclusively for business purposes and are a principal place of business or used regularly to meet with clients. Free-standing structures and garages can also qualify for a home office deduction if they are used exclusively for business purposes. Taxpayers who have a qualifying office are then entitled to deduct a portion of their home’s utilities, homeowner insurance, maintenance costs and similar expenses. Being a small business owner means juggling many responsibilities. Whether you are doing your own taxes or finding a professional to handle them for you, make sure you take advantage of these six money-saving tax strategies.